IP television services become ever more popular and every year dozens of providers start offering these services to their customers. However, if a user begins to use such kind of service, to a certain extent s/he becomes dependent from the service operator as well as from the data transmission quality and number of transmitting channels it offers. In case the user wishes to change the service provider, s/he can lose his/her several favourite channels, while a mere maladjustment or momentary failure in the provider network may make it barely possible to watch the TV. Today our laboratory hosts a device that can help users to effectively tackle such problems or even solve them completely. Meet Dune DH TV-301W. 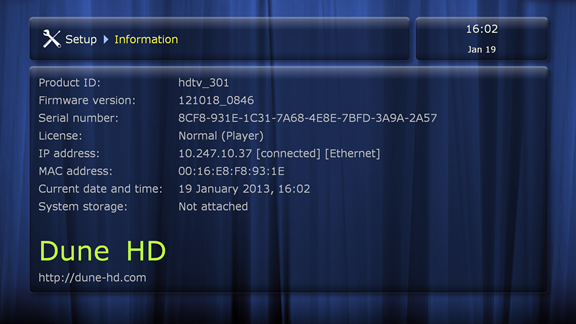 We are going to test this media player together with Vdali TV service. 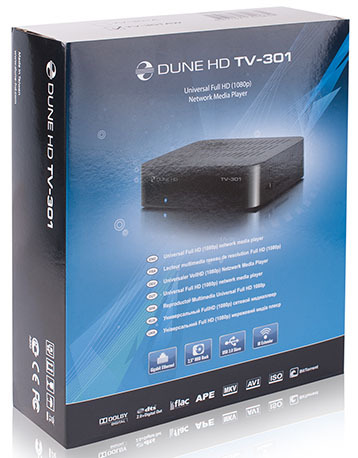 Dune HD TV-301W media player comes in a black case with rounded corners made of plastic and metal. Its dimensions are 169x135x38mm excluding the antenna. To work properly the device needs an external power unit with the following characteristics: 12 V and 1.5 А. On the front panel there are a brand tag, model name, LED indicating the device status, and IR receiver. The rear panel of the media player has the following interfaces located on it: USB 3.0 used for connection to a PC, USB 2.0 used to connect an external USB disk, optical digital audio output, external Wi-Fi antenna, AV output (mini-jack), HDMI 1.3 port, IR extender jack, Y/Pb/Pr component video jack, Gigabit Ethernet, and external power supply unit jack with a switch. Not all ports are located on the rear panel of TV-301W; on one of its side panels there are a USB 2.0 port and SD memory card slot. The other side panel has a bay used to mount an internal 2.5" HDD. On the bottom of the device there are four round rubber legs and a sticker with brief information about the device. 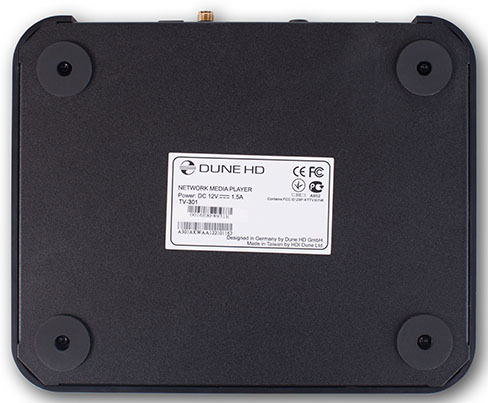 There are two cards inside of Dune HD TV-301W: one of them acts as a usual wireless module, allowing the media player to connect to wireless networks in range. Components of the main card are located on both of its sides. 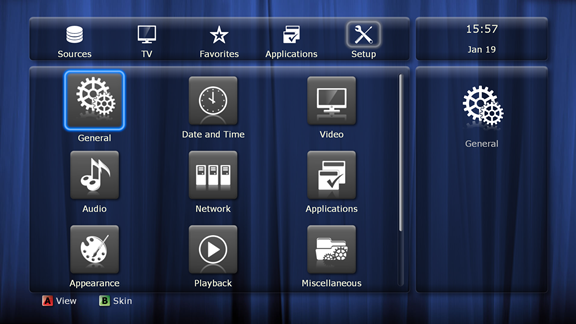 TV-301W media player is powered by Sigma Designs SMP8671AD-CBE3 CPU. Its flow chart is presented below. Two DDR2 Samsung K4T1G164QF chips with the size of 128 Mbytes each act as the RAM, making the total RAM of the device 256 Mbytes. 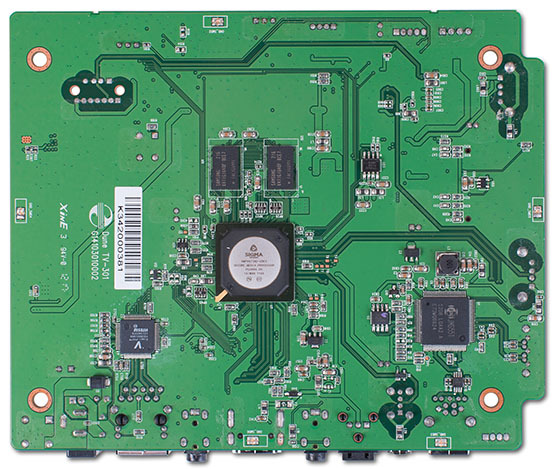 JMicron JMS551 chip functions as the SATA-USB controller. 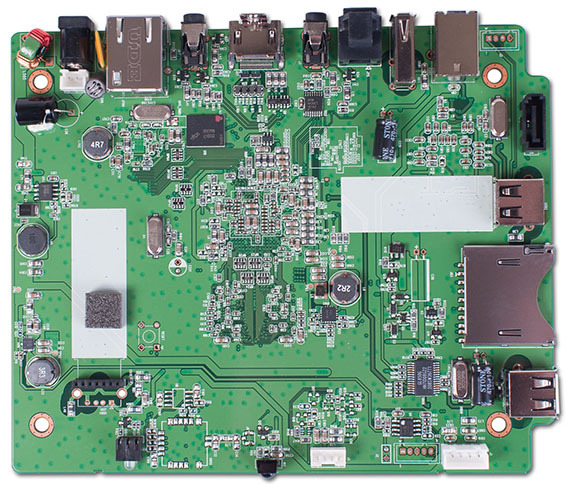 Vitesse VSC8601 controller answers for the device network operation. Now let's skip on to reviewing the software platform of the device. Firmware upgrade may be carried out both in a manual and semi-automatic mode. In order to upgrade the firmware manually a user will need to download the firmware file from the vendor's web-site and copy it to the media player. Upon the firmware upgrade in a semi-automatic mode the user can look up the newest firmware version in Setup-Miscellaneous-Firmware Upgrade menu; after that the device will automatically upload the file from the net and upgrade it. 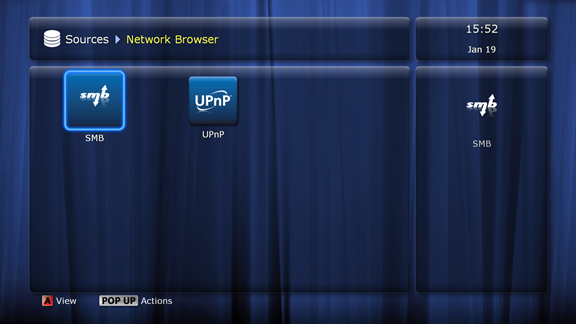 In case the standard functionality of the firmware is not enough, the user can install various add-ons. 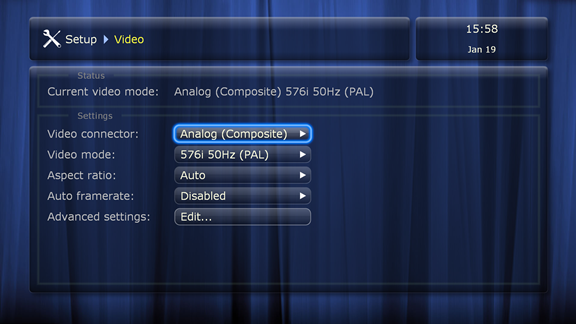 We decided to install a plug-in that allows connecting to Vdali TV service. It's really easy to install it. At first one only needs to download an archive to a data carrier connected to the add-on unit, launch and install it, and customize it if it is necessary. Now let's pass on to reviewing the interface capabilities of the device. We would like to inform our readers beforehand that we will not review all capabilities of the device interface, but only turn our attention to the most interesting features. 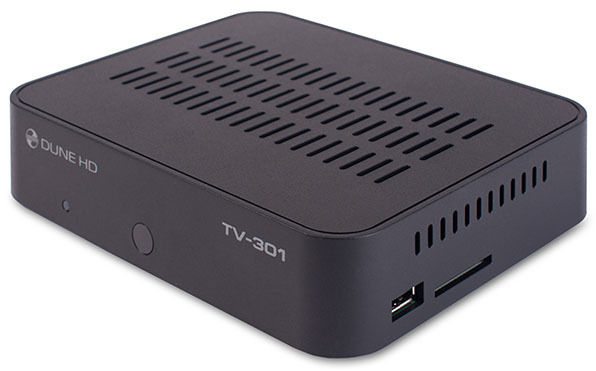 Once TV-301W is loaded, it offers the user to choose where s/he wishes to play files from. 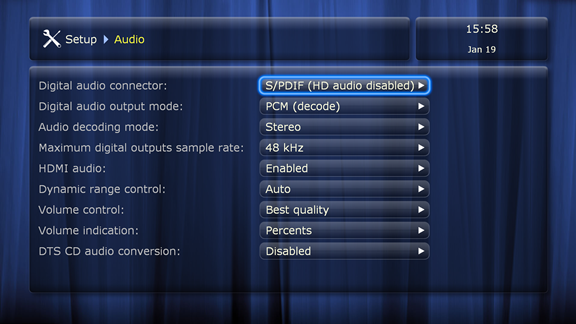 The media player can display the contents of an internal or external disc or receive the data over the net. 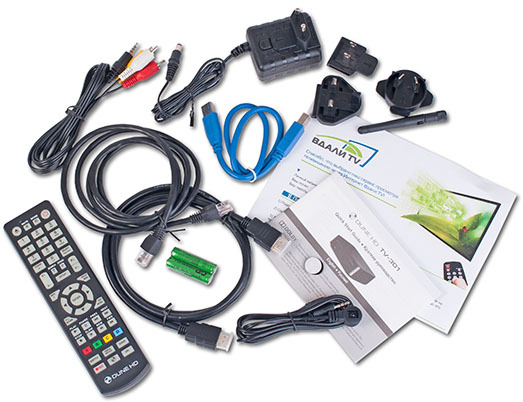 Apart from browsing through local or remote media files the user can connect to online TV services, for example Vdali TV or others; access to these service can be gained via plug-ins that need to be installed separately. 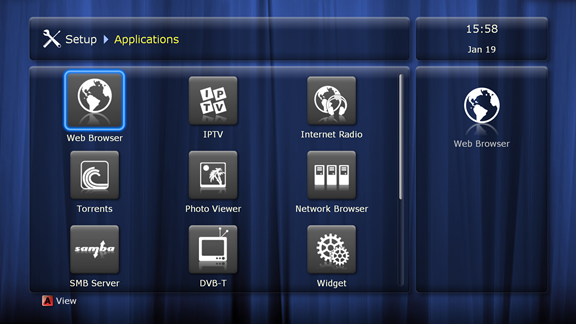 One can also view TV channels using a DVB-T receiver, which needs to be connected to the media player USB port. Favorites menu item contains links on the user's favourite media files located on local data carriers or elsewhere on-line. 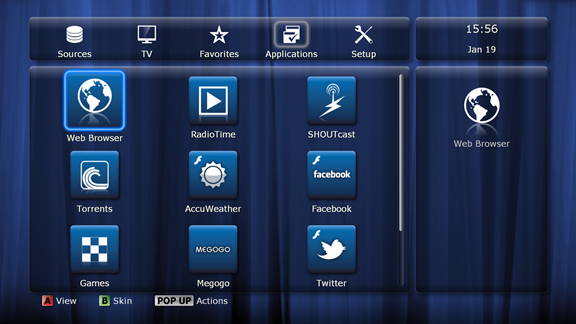 One can add an element to this menu item by pressing D button when the applicable element is selected. We would like to point out that it doesn't have anything to do with TV channels of Vdali TV since they are added into a separate group of Favorites. 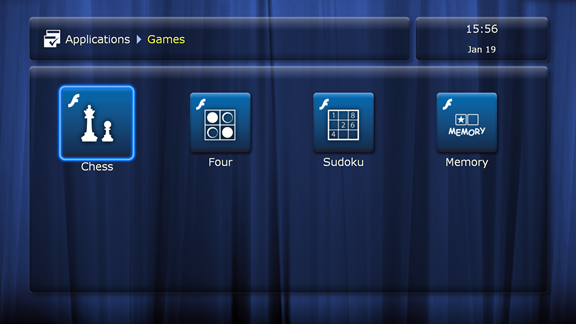 Applications menu item contains software that is most widely used by users and among it there are a web-browser, torrent client, Facebook and Twitter games, Rutube and Tvigle, and many others. As a matter of course, it's barely possible to post anything in social networks using a remote and that is why the vendor produces Dune HD Qwerty keyboard especially for that. 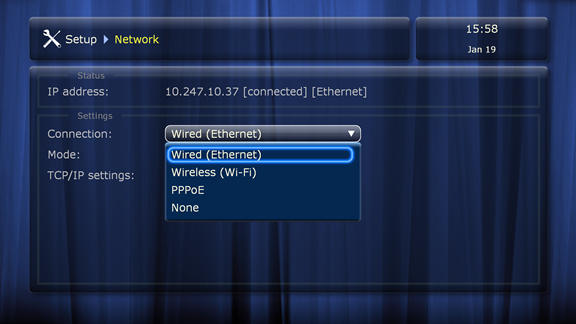 Setup menu item is used to manage the device settings. 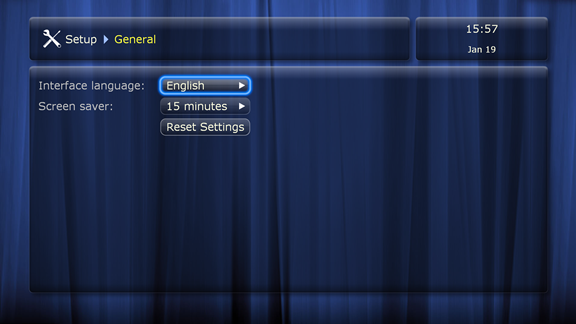 The user can choose the interface language and screen saver launch time in General sub-item. 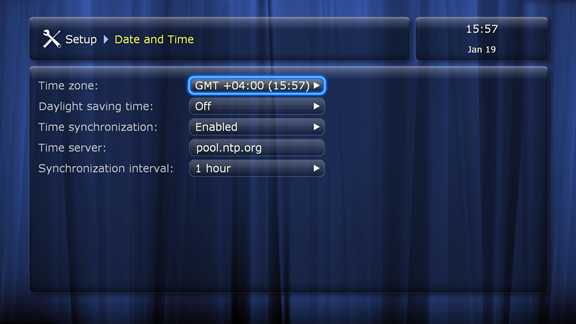 Date and Time sub-item is used to setup date and time and remote server synchronization settings. 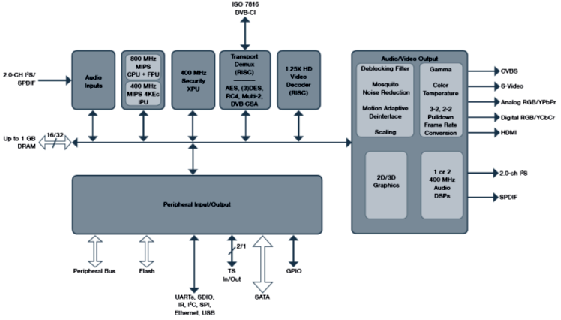 Video and audio output parameters are located in Video and Audio sub-items, correspondingly. 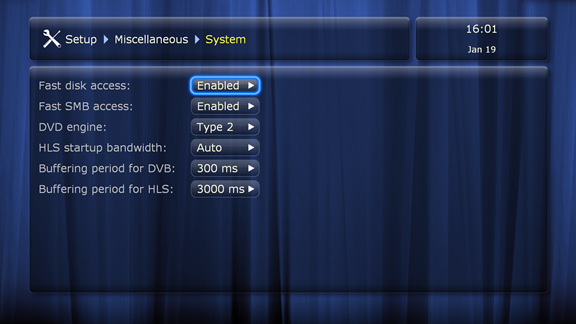 Dune HDTV-301W may be connected both to wired and wireless networks and one can find the applicable settings in Network sub-item. Applications sub-item features parameters of all applications installed on the device. 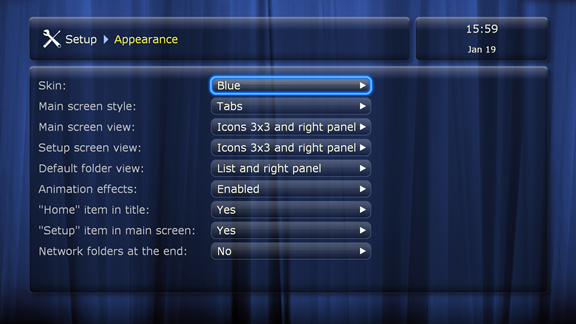 The user can setup the appearance in Appearance sub-item. 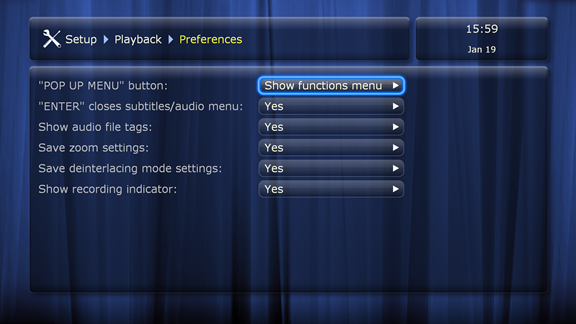 Playback sub-item is used to manage the parameters of video data playback. 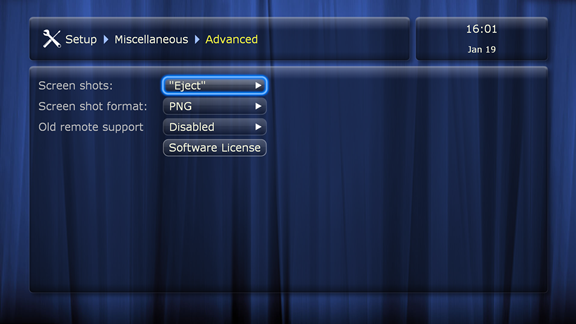 Using Miscellaneous sub-item one can specify operation parameters of the file browser, choose the encodings used, manage and adjust the external optical drive settings, upgrade the firmware and install some plug-ins, manage the power settings, and perform a wide array of other related functions. 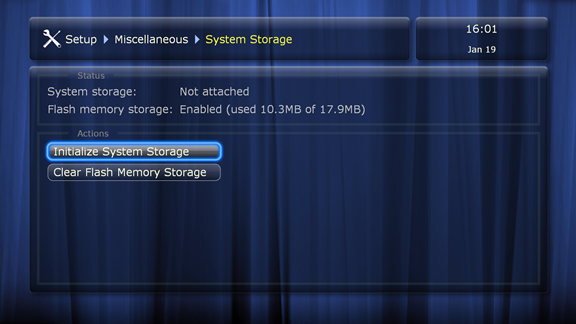 Information sub-item is used to receive information on the device, current firmware version, and some other parameters. Now let's skip directly on to testing the device. The first testing procedure we usually begin our testing section with is estimating the booting time of the device, which is a time interval starting with the moment when the power is on until the first echo reply is received through ICMP protocol. 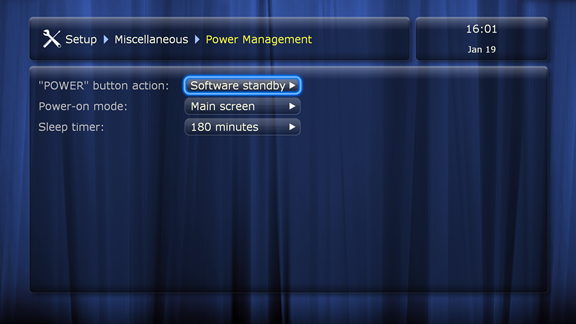 And though Dune HD TV-300W boots in 47 seconds, its interface is not completely loaded by that time. The device becomes fully accessible in about 10 to 15 seconds after that. It's worth mentioning that what we did was cold starting and it'll load much faster if the user turns the device on using a remote. The second test was a security scanning procedure which has been carried out using Positive Technologies XSpider 7.7 (Demo build 3100) utility. On the whole, there were six open ports discovered, and they are TCP-21 (FTP), TCP-80 (HTTP), UDP-137 (NetBIOSName), TCP-139 (NetBIOSsamba), TCP-445 (MicrosoftDS) and TCP-30000 (unknown). The most interesting data are presented below. We believe that the vulnerabilities discovered are not critical. We can't help to mention the key specification of the test stand we used. The next thing we decided to do was a performance test which was carried out by formatting the internal Seagate Momentus ST9320325AS HDD in two file systems: EXT3 and NTFS. At first we measured the data access speeds using wired connection through SMB protocol. After that we decided to compare wired and wireless data access speeds under NTFS file system. As one can see, the wireless data access speeds on the diagram below are much lower than the wired ones. 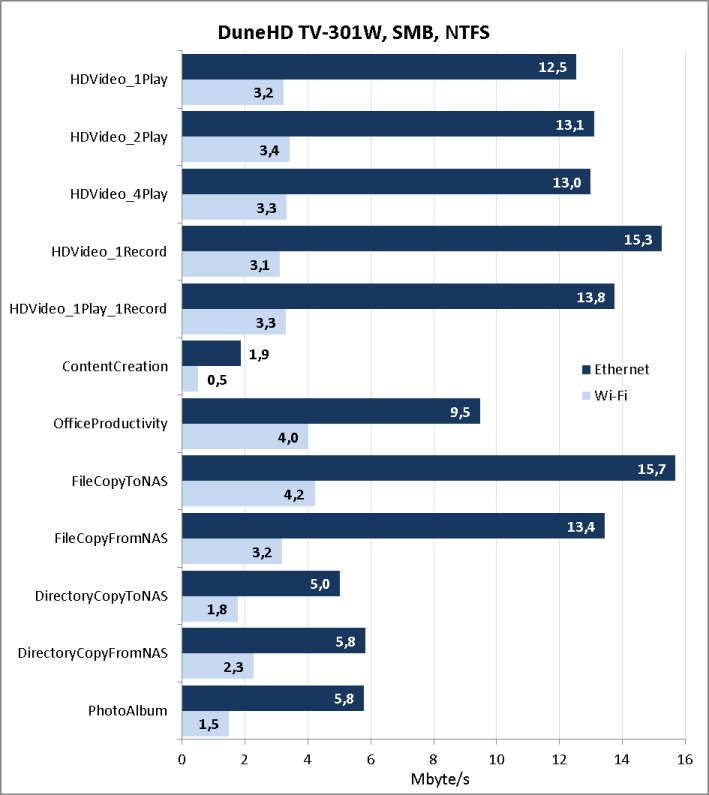 Though they are more than enough for watching TV channels in HD, the user will barely be able to copy files to the network with these speeds. Apart from the built-in wireless module users can connect external Wi-Fi adaptors to the device USB ports. A full list of the supported adaptors is available on the vendor's web-site. 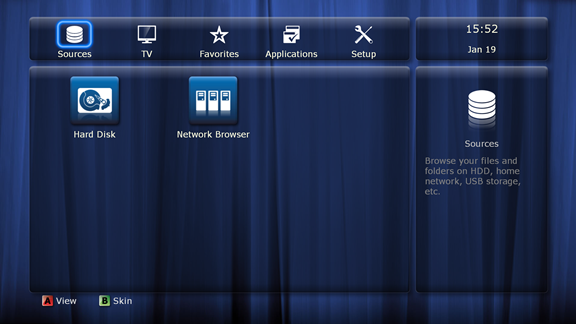 Also, one can connect the media player to a PC or other device (e.g. NASes) using USB 3.0 interface. When this article was being written we had Thecus N4800Eco model at our disposal and we connected the media player under review to it. It turned out that connection through USB ensures the highest speeds. For example, file recording speed upon uploading data to the device is about 72 Mbyte/s, or 576 Mbps, and we can see that it leaves the USB 2.0 interface performance margin way behind. Since TV-301W is primarily classified as an HD media player, we decided to test the relevant component of its functional capabilities used together with Vdali TV service. 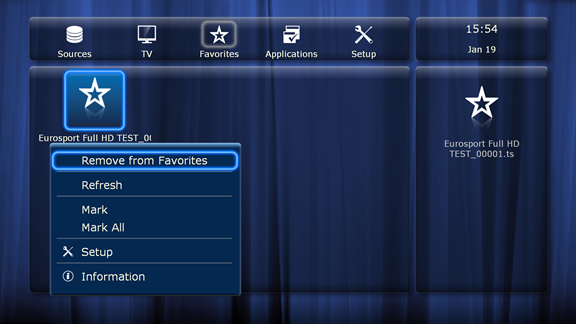 Over here TV channels are divided into groups for users' convenience. The total number of available channels amounts to more than 200 and it would be almost impossible to use this service if not for the groups. 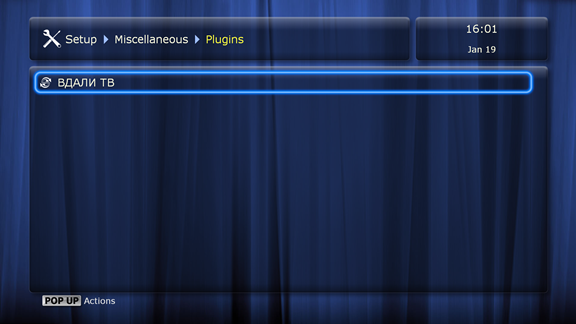 If necessary, the user can install additional channel packs in the member's area and increase the number of available channels. We had almost no problems while watching TV channels, even if they were in HD. The applicable bandwidth level depends on a channel of choice. 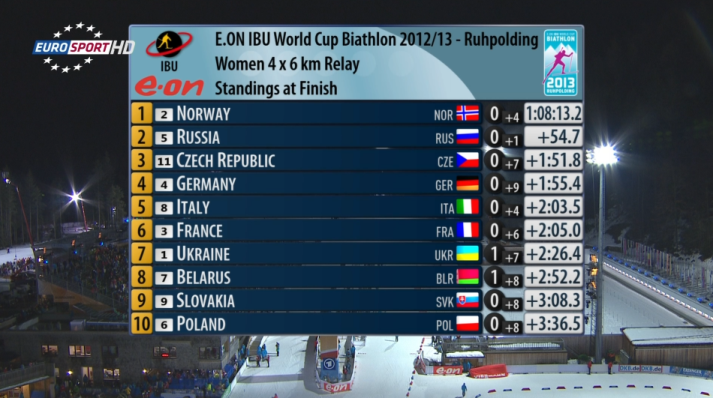 For instance, the bandwidth was 11 Mbps when we watched the world biathlon cup on Eurosport HD. 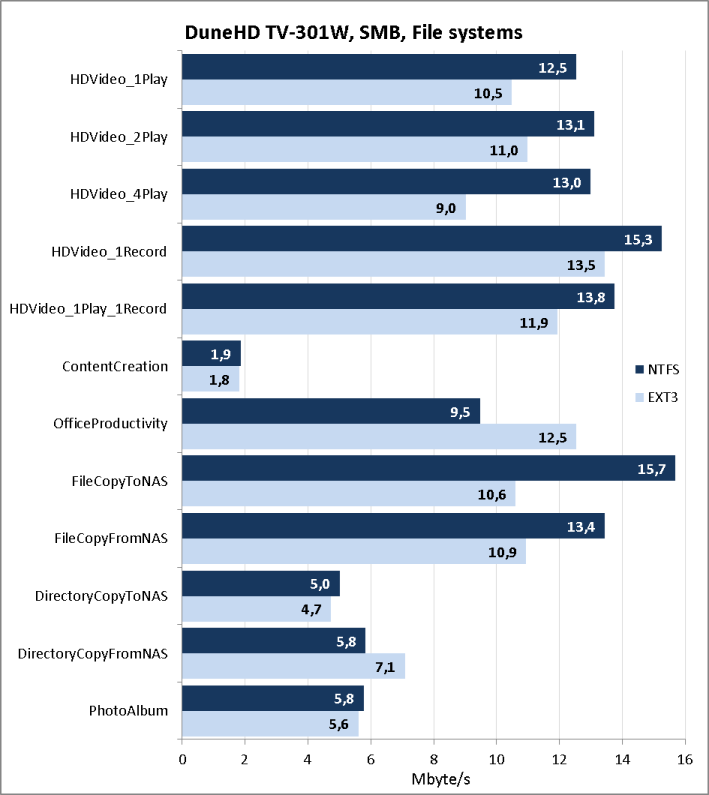 Those channels that offer the worst image and sound quality require lower bandwidth level. 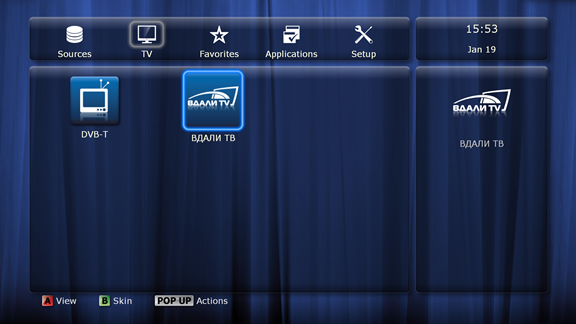 We managed to discover Channel One HD and Rossiya 1 HD among the high definition channels. Flow buffering that ensures continuous and uninterrupted display of sound and image came to be a nice feature. By the way, depending on the channel of choice there may be several sound tracks available and therefore the user can choose either the sound quality or sound track to his/her liking. We were pleasantly surprised at the image quality. 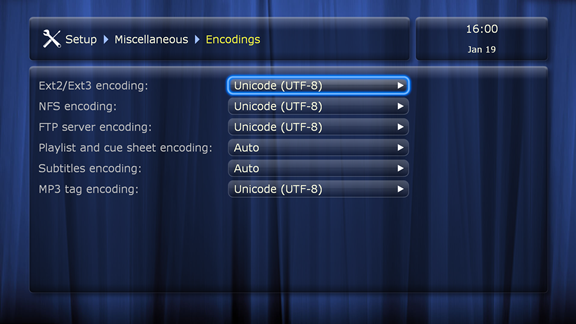 However, it's worth noticing that sometimes the image and sound quality left much to be desired (even on HD channels). Of course, this neither depends on the media player nor on the service under review but mainly on the channel itself. 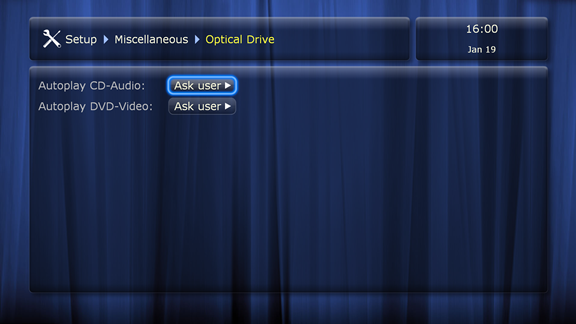 Also, there is another feature that allows the user to record the viewed TV channel to the internal HDD (in case it's mounted) to watch it once again later if s/he found it interesting. That's where we draw the review of Dune HD TV-301W to a close and move on to summing it all up. Generally, we are quite glad about the Dune HD TV-301W media player and Vdali TV service we reviewed. Working together they let users from all over the world enjoy Russian and foreign TV channels in HD independently from capabilities this or that network provider offers. One just needs a high-speed relatively stable connection to the global network. Availability of HD channels is one of the nice features of Vdali TV service and users will be able to fully enjoy all of their benefits while watching them on modern TV-sets or HD projectors. 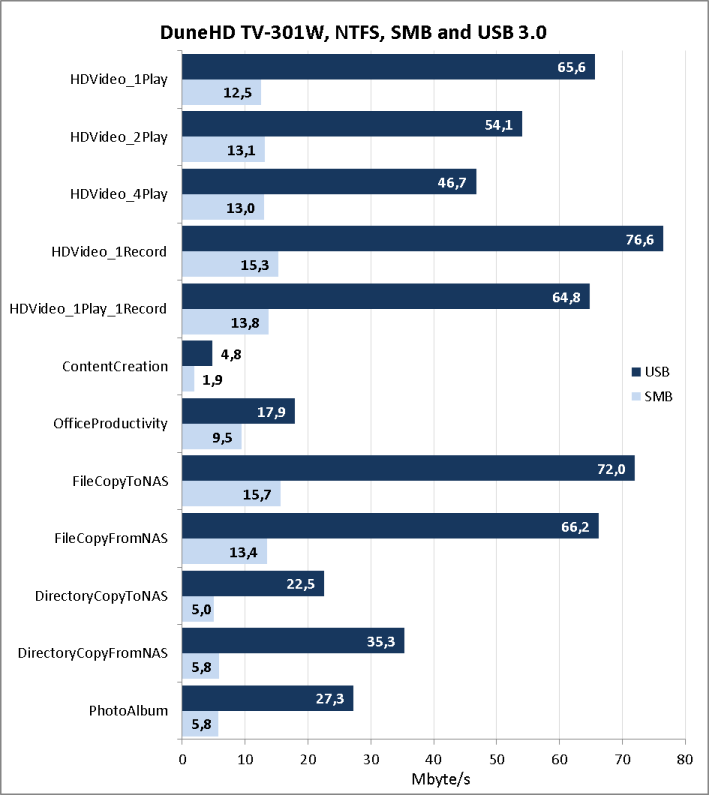 The strength areas of Dune HD player and Vdali TV service are presented below. Unfortunately, we cannot help to mention several drawbacks of this model. As of when this article was being written, the average price for a Dune HD TV-301W without a disc in Moscow online shops was 7000 roubles. Subscription price for Vdali TV services depends on the channel pack of your choice. When we had already finished this review we received a message that a new model of Dune HD media player, Dune HD TV-303D, has been released. This model is a continuation of Dune HD 300 product line and it is meant to replace TV-301 models. Dune HD TV-303D boasts a more powerful hardware platform and allows users to watch films in 3D. We hope we can review the new model in the foreseeable future.